I was thinking this morning.... about the increasing number of 'shidus' in Nigeria. I am not talking about 'Chiedu' or 'Shittu' but 'shidu.' I am sure you are saying, 'what on earth is shidu?' Stay with me please. I was thinking about the senseless killings going on across the country. From Edo to Benue to Kogi to Plateau to Taraba to Zamfara, it is one bloodshed after another. It is like death literally patrolling from one community to another, one state to another. Even as it seems Nigerians have become numb to the deaths, my escape tactics was to avoid the news. But one news headline about the killings in Plateau state last week caught my attention, 'Father recounts ordeal: How herdsmen killed my three children, including twin boys.' With a heavy heart, I wondered what this man who has lost all his children will be referred to. Think about it. When a man loses his wife, he is called a widower, when a woman loses her husband, she is called a widow, when a child loses his/her parents, he or she is called an orphan, but what special name do you call parents that have lost their children? Should they still be called parents even though they do not have the children with them anymore or should they be called childless? But why is there no special name for parents that have lost their only child or all their children? My thinking is that it is because it is not expected that parents should bury their children. It is anathema. As I wondered, I found out that a new word has just been introduced into English from Chinese and that word is 'shidu.' Shidu is a phenomenon denoting the loss of a parent's only child. Wikipedia explain that parents who have lost their only child are known as 'shidu fumu' in China. China introduced the one child policy in 1979 to control their population and according to the Chinese government, 400 million births were prevented. While they may have achieved their objective, they did not reckon that many parents could lose their only child for different reasons. Hence, by 2010, they had about one million shidu parents. As I thought about the shidu phenomenon, I started suspecting, by the actions and inactions of our government, that they may be using this senseless killings as a form of population control. Otherwise, how can one explain the lack of action to stop the cycle of violence. Rather, the President is blaming some 'powerful people.' While China is preventing birth, Nigeria is promoting death. Hmm!!! While the Chinese birth control created shidu parents, the Nigeria death patrol is creating orphans, widows and shidu parents. See our sense? As depressing as the situation may seem, one thing I know is that these merchants of death creating shidu parents will not go unpunished, because Prov 6:17 says God hates the hands that shed innocent blood. I was thinking this morning... about Caregivers and Caretakers. If you were not conscripted into the '8 to5' army arrangement (popularly called 30 days make a pay), you may not understand how I felt last week. After a high-octane day at the office, feeling so cool that I have justified my pay for the day and even deserving of a raise, I got back home drained. While taking a much desired rest, I read the news that over 700 doctors and medical students in Quebec Canada were protesting against the huge benefits noticeable in their pay. They demanded a cut in pay to ensure care is given to other societal needs. The news reminded me of Genesis 33:9 'And Esau said, I have enough, my brother; keep that thou hast unto thyself.' My reflective submission was thumbs up for #Ihaveenough. I can understand if one refuses a gratuitous offer, but can't understand someone refusing the benefit for which he had worked so hard. I was thinking, why is it that it is only the doctors pushing for #Ihaveenough? What about the engineers and taxi drivers in Canada? Oh, I can see why now. It is probably because doctors are trained to be caregivers, therefore their reason for the protest was 'to ensure care is given to other societal needs.' Hmm!!! #Ihaveenough. But wait a minute. Are Nigerian doctors not caregivers? Why is it that all we hear around here are, doctors on strike because one allowance has not been paid or salary is too small? 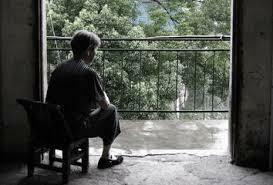 Are they caregivers or caretakers? 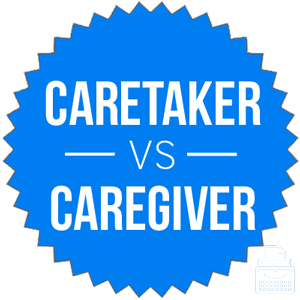 Even though the dictionary says caregiver and caretaker are somewhat synonymous, to me caregivers care about others, while caretakers focus on themselves. If you have ever been a tenant in a compound with a caretaker, you will understand my definition. #Ihaveenough. I recalled the news last week of 53 Policemen serving in the Presidential Villa, Abuja, protesting over their unpaid Risk Caution Allowances since 2015, when they were posted to the Presidency. I wondered if the occupants of Aso Rock are caregivers or caretakers. I believe they are caretakers, withholding the meager allowances of these policemen and budgeting over N300 million for foodstuffs and N100 million for kitchen utensils such as forks and knives. When will Nigeria 'ogas' say #Ihaveenough and divert any further increase in their pay and allowances to their security and domestic staff? #Ihaveenough. In Nigeria, it might have been debatable to state that the National Assembly members are the biggest caretakers we have. They were elected to be caregivers for all Nigerians, but with a monthly allowance of over N13 million, it is apt to say they are caretakers, taking away what belongs to all Nigerians. #Ihaveenough. While I am currently examining myself if I am a caretaker or a caregiver, one thing I know is that for many Nigerian doctors that believe in 'grab everything available,' Quebec will definitely be struck off their destination list. #Ihaveenough. I immediately google the word 'issue' to try to understand the several meanings. The very common meanings were 'an important topic or problem,' 'personal problems or difficulties' and 'a series of publications.' But somewhere at the bottom of the list was the legal meaning used in genealogy and wills, where 'issue' refers to a person's lineal descendants (children of one's own.) Now I understand that though the actions of some Nigerians seem to indicate that we are lineal descendants of savages, there are a few bright spots of knowledge. 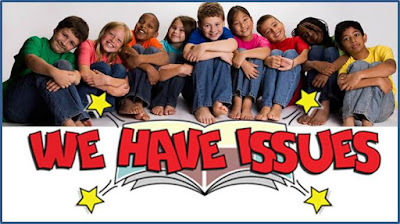 My mind is fixated on why children will be referred to as issues. Could it be because some see children as problems or because they are churned out like series of magazines? Whatever the reason is, one thing is clear, everyone's children are their issues. Think about it. Though it is common in Nigeria to hear someone say, 'I have no issue,' I have not heard anyone say, 'This is my issue Toyin' or 'These are my issues John and Janet.' But rather they say, 'This is my son John.' Hmm!!! With that understanding, I realized that there were many topical issues in the past few weeks in Nigeria. While one of the issues of PMB returned from medical treatment in Germany to a grand welcome by top government functionaries, the issues of the governors of Kano and Oyo states were tying the knot with the President and 20 governors in attendance. All these happened at a period when 110 female issues from Dapchi were abducted by Boko Haram. Dearis God! The reason why the issues of the rich and the poor are treated differently in Nigeria is an issue for another day. Of a truth, we have issues, but we have to move on. Remember, when you go to church today, please go along with your issues. I was thinking this morning.... about Principality. Yes, Principality. But before you start binding, please hear my reason. As I drove into the office Monday morning with work on my mind, listening to the Morning Sports Drive on 92.3 FM, the presenter spoke about the upcoming fight between Anthony Joshua and Joseph Parker. Since boxing is not my thing, I gave the news no much thought until it was mentioned that the fight will take place at the 'Principality Stadium' in Wales. 'Principality Stadium' ke? 'Why would a Joshua and a Joseph choose to fight in the arena for principalities?' I had thought. I recalled that stadium fire of 1958 in England that caused the death of 56 spectators. Could that have been caused by the principality at the stadium? It seems ironic that Joseph and Joshua will ignore 'Stadium of Lights' of Sunderland FC or even 'St Mary's Stadium' in Southampton both in England and chose 'Principality Stadium.' As I wondered if really the stadium was meant for principalities, I found out that the stadium is the national stadium of Wales, located in Cardiff and was originally called The Millennium Stadium until 2016 when it was renamed 'Principality Stadium' after Welsh Rugby Union announced a 10-year sponsorship deal with the Principality Building Society. While I care not if a Building Society calls itself Principality, it takes a whole new meaning if a stadium is called Principality Stadium. Little wonder, that because SC Rheindorf Altach stadium in Austria, named after a sports betting brand is called 'Cashpoint Arena,' it was rumored that you need a pin number to get access to the stadium. What about the 'Bargain Booze Stadium' of Witton Albion in England, named after a discount alcohol brand? They got so drunk and couldn't sustain the name beyond a couple of seasons. With that understanding, it dawned on me that with so many Nigerians having the prefix 'Prince' before their names, we must be a nation of principalities. So, the next time you set out to war against 'principalities,' be certain you are doing so with understanding.